Slices of pretty sandwiches are great for a get together. 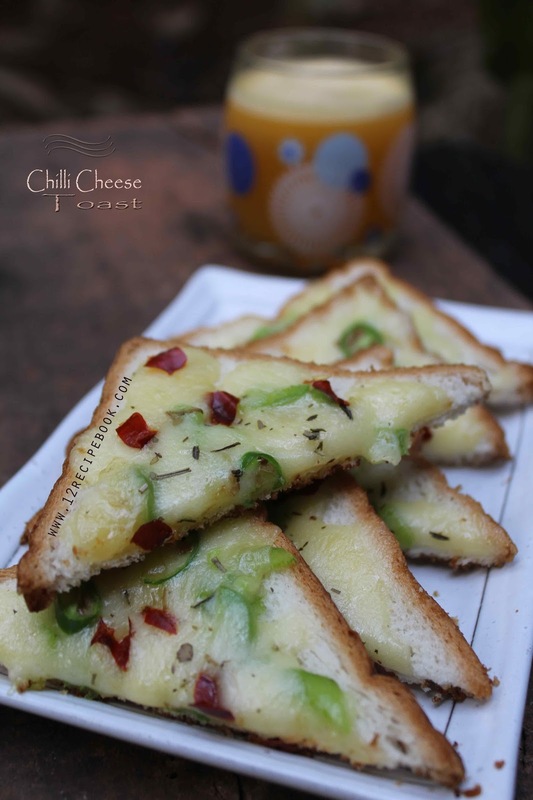 Chilli cheese bread toast is a simple and delightful breakfast or snack idea. Make it within minutes; Serve warm and crisp! 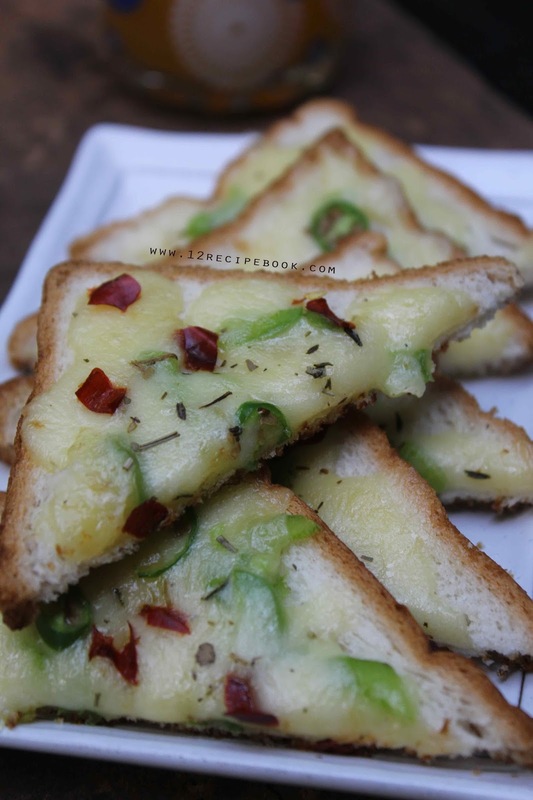 In a bowl mix cheese with green chilly, chilli flakes, herbs, salt and pepper. Apply a tablespoon of butter in one side of each bread slices. On the another side of bread apply the cheese filling thickly and evenly covering all the sides. Heat a pan on low flame; place the bread slices and toast covered for 5-8 minutes or until the cheese melts and bottom gets nice golden and crisp.